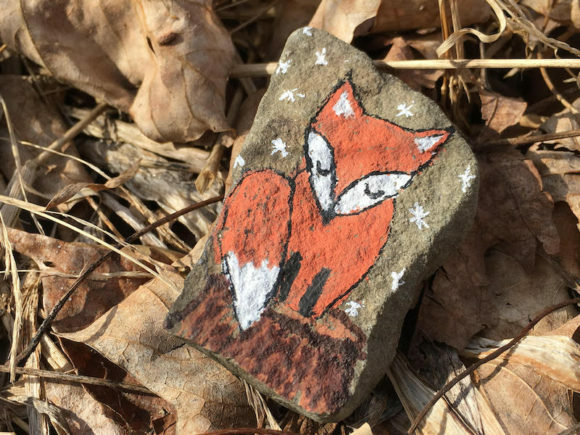 ESSEX — Celebrate the arrival of spring next Saturday, March 30, at 10 a.m. by taking the whole family on this unique nature walk in search of collectible art stones hidden along the trail. Each stone portrays a creature who lives in the Canfield-Meadow Woods area. The back of each stone provides a link to the Essex Land Trust website where you can discover more about the animals, birds and insects that live in this preserve. Young children and those who are young at heart will enjoy finding one or more of the 100 stones and taking them home to learn more about the creature on the stone! The walk will start at 10 a.m. at the Canfield Meadow Woods Preserve entrance located on Book Hill Woods Road. This walk will be led and created by Essex Land Trust volunteers Stephanie Gatto and Susan Scott.